Dimensions: 29 inches in height, 21 inches in width, and 12 inches in depth. 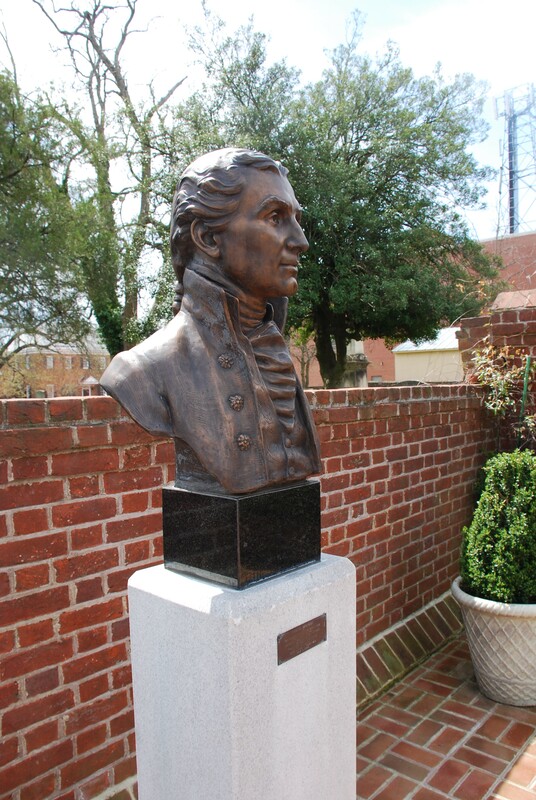 Description: This bronze bust of James Monroe was sculpted by Margaret French Cresson. 3-D Scanning Process: This object was difficult to scan because it was outside and the Kinect scanner could not handle that much light, especially for a slightly reflective object. 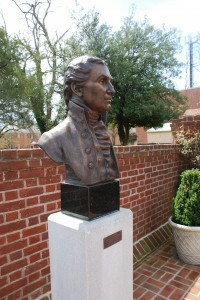 Luckily, Margaret French Cresson created several sculptures from the same mold, and the University of Mary Washington has an exact copy in the lobby of Monroe Hall, which was protected from the sun, and therefore much easier to scan.